Ride at speed with confidence on the roughest streets, trails, dirt roads and gravel paths on the Raleigh Lore. The 27.5" plus wheels and oversize, durable tires roll fast and comfortably through the urban jungle or over rural back roads. Ride at speed with confidence on the roughest streets, trails, dirt roads and gravel paths on the Raleigh Lore. The 27.5" plus wheels and oversize, durable tires roll fast and comfortably through the urban jungle or over rural back roads. The Bosch Performance mid-drive provides assistance up to 28mph, ample torque for any situation and plenty of range for an all-day ride. Assists up to 28 mph. 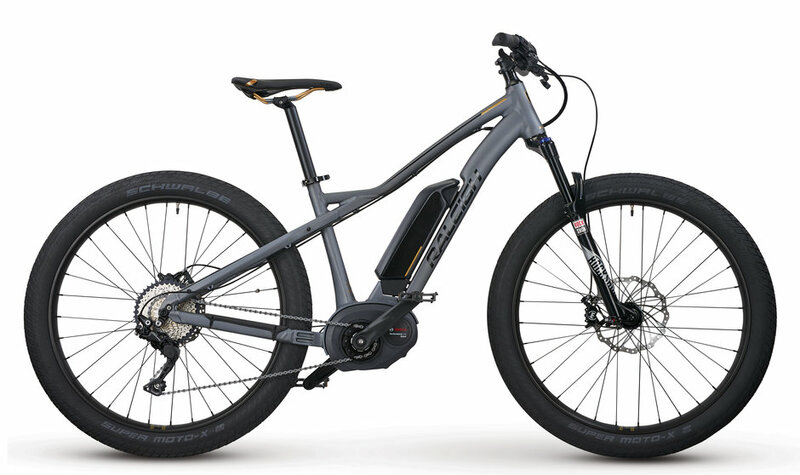 Range up to 60 miles (100 km), based on terrain and riding style.